This is part of a 3-part series of episodes from “Marketing Today”. 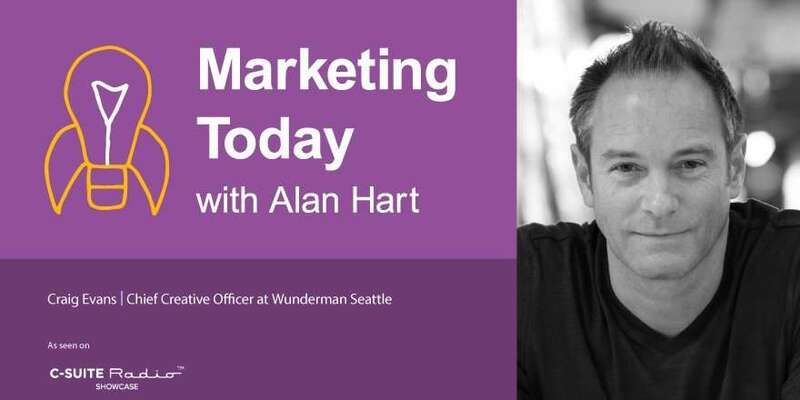 Host Alan Hart interviews Craig Evans, Chief Creative Officer at Wunderman. In this interview, Alan and Craig discuss the challenges related to modern creative departments as they deal with marketing across multiple, ever-changing channels and platforms. They also discuss how AI is changing the world of marketing and the boundaries of personalization. [1:30] – What skills are necessary for cross-channel experience design? [2:32] – How are changing technologies changing creative departments? [8:20] – What are some email personalization tactics that work well? [9:43] – What advice would Craig give his younger self? [10:40] – What is your best (go-to) source of information today? [11:40] – What is one thing you love/hate? Modern creative departments need to bring together many, many skills – including data scientists, UX and developers (not just traditional designers). Creative ideas and strategies are more flexible and effective in the marketplace when they’re informed by multiple disciplines (not just traditional designers). Technologies (and their influence on marketing) are changing rapidly and it’s important to be an early-adopter and stay informed as technologies change.